NextEbb Insomnia Therapy: The Silver Bullet We’ve Been Waiting For? Investigators surveyed 51 primary care providers (PCPs) in the VA system as to their perceptions and treatment of insomnia. About 80% of the respondents said they felt insomnia was as important as other health problems. Yet they tended to underestimate its prevalence and often failed to document its presence. Other research has shown that the prevalence of poor sleep quality among veterans is extremely high: over 70% in veterans without mental illness and even higher in veterans with a mental health diagnosis. Yet most PCPs surveyed estimated that only 20% to 39% of their patients experienced insomnia symptoms. When insomnia emerged as a problem, only 53% said they regularly entered it into their patients’ medical records. Scientists now have plenty of evidence that insomnia is a disorder in its own right—regardless of whether it occurs alone or together with another disorder. Yet many PCPs seemed to view it as merely a symptom or a condition secondary to another disorder. All of the PCPs endorsed the belief that when insomnia occurs together with a health problem such as depression and PTSD, successful treatment of the depression or PTSD will eradicate the trouble sleeping. Current scientific evidence does not support this belief. The first-line insomnia treatment recommended by the American Academy of Sleep Medicine and other professional organizations is cognitive behavioral therapy for insomnia (CBT-I). CBT-I is available at VA facilities. Even so, the insomnia treatment PCPs most often recommended to their patients was counseling on good sleep hygiene. But sleep hygiene doesn’t work as a stand-alone treatment for insomnia. What’s more, it may make the prospect of CBT-I less palatable, given that some CBT guidelines call for behavioral changes that resemble the rules of good sleep hygiene. Your PCP may be responsive to your complaint of insomnia and current in his or her knowledge of how to diagnose and treat the condition. If so, well and good. Respond to concerns about insomnia as attentively as he or she would to concerns about double vision or shortness of breath. 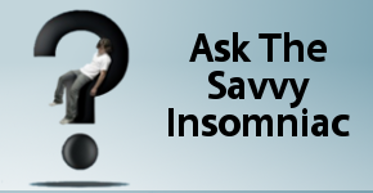 Insomnia can be debilitating, and chronic insomnia can result in changes that compromise health and quality of life. A doctor who dismisses it as trivial or hands you the rules for good sleep hygiene before waving you out the door is not the right doctor. Ask questions about the duration, frequency, and severity of your problem, and possible underlying conditions. This type of inquiry is crucial to arriving at an accurate diagnosis and appropriate treatment. Doctors who don’t have the time or knowledge to ask these questions should refer you to someone who does. Discuss treatment options that are research based and individualized. CBT-I may require referral to a specialist, yet there may be no specialist certified in behavioral sleep medicine practicing in the area. Likewise, a prescription for sleeping pills is useless to a patient who has no intention of filling it. Treatment discussions should be dialogs, and doctors should encourage patient participation. This is the kind of response we deserve when we bring up the topic of insomnia with PCPs. It’s SO discouraging that this is still the case, especially with good books pointing the problem out. This study does suggest that primary care doctors may not be current in their understanding and treatment of insomnia. But I don’t know how representative a survey with only 51 respondents can be of PCPs in general. 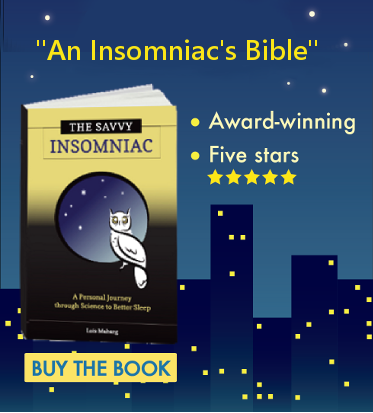 Even if several have taken advantage of continuing education courses to stay current in the field of sleep medicine, though, I thought it might be helpful to remind readers of the kind of help they should expect to find when they talk about insomnia with their doctors. Thank you for taking time to confirm some of the things I’ve written about sleep hygiene. As a treatment for insomnia it has a place, but more as a side dish and certainly not the main course! I took a look at your blog post. I want to compliment you not just on the message you’re delivering—that as standalone treatment for insomnia, sleep hygiene doesn’t work—but also on your analysis of WHY it doesn’t work . . . and may in fact be counter-productive. Your post insightful and easy to read. Anyone looking for more information on this topic should click the link in the comment above. Thanks again for writing in, and best of luck to you in your practice.